Kirsty Rigg – The Nowt Poncy Food Company Ltd.
Let’s not sugarcoat it – we are eating way too much of the bad stuff. Not only is it ‘the easy option’ in our increasingly busy lives, it’s also become acceptable for big companies to mass produce high sugar, low quality food which in undeniably causing huge problems. Low sugar is more important than ever before. Figures show that more than two-thirds of men and almost six in 10 women are overweight or obese in the UK – a figure which is on the rise faster than your order at McDonalds. A total of 62% of adults are bigger than they should be, compared with just over 50% two decades ago. With more and more of us ditching home cooking for processed, high sugar alternatives, what are those stats going to look like in another 20 years? Dressings, salad creams, even a splash of ketchup or dollop of mayo, can turn your healthy meal into an overly sweet sugar-fest. Pre-made sauces like that are absolutely loaded with sugar, and if you ask anyone on a low carb diet, they’ll probably tell you they avoid them like the plague. As we already know, fruit is loaded with natural sugars, but this isn’t even the problem. Shop-bought, “ready to go” smoothie concoctions are (shock horror) swimming in sugars. In some cases, you may as well just chomp on a lump of chocolate for breakfast. It’s ALWAYS worth checking the label, or better still, make your own smoothie at home. We all love a good yoghurt, but again, watch out for the cheaper ones of the ones that seem really good value for money. You get what you pay for, and in many cases, you can be loading up on sugar without meaning to. Go for a Greek yoghurt and add a little honey for a healthier option. You don’t have to fully commit to a low carb diet or never eating sweet things ever again, as that would be a miserable existence. But what you CAN do is shop more wisely. 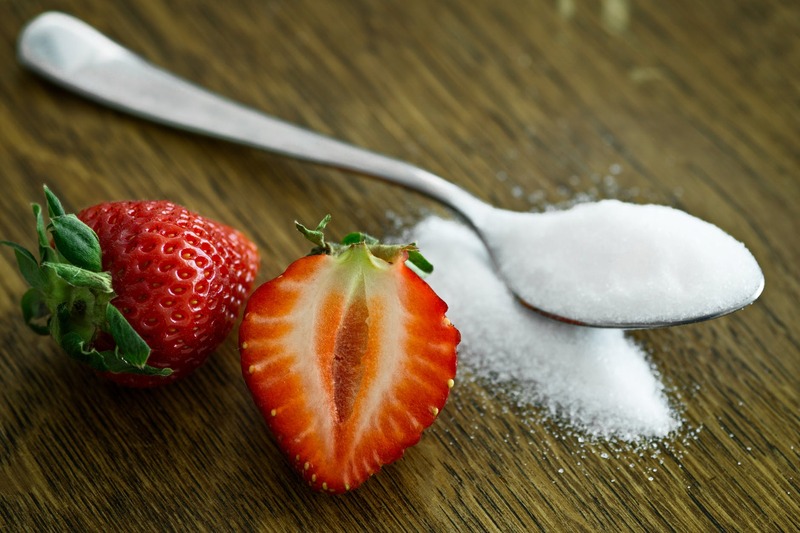 Cutting back just a little bit on your sugar intake can have a noticeable effect on your weight, your energy levels, sleep, and even chance of getting type 2 diabetes. Well, we’re not into boasting, but on this occasion we can’t resist. One of Nowt Poncy’s proudest moments was being certified “low sugar” by international food authority Sugarwise. The cooking sauces were taken away and tested in a lab, and the results were impressive, with all 5 coming in as either ‘certified low sugar’ or ‘certified free from added sugars’. These lovely creations are known as “The Big 5” and Nowt Poncy has just put an offer on to get them ALL at a discounted price! Tomato and Basil, Big Easy Creole, Arrabbiata Sauce, Curry Sauce AND L’Amore É Pizza Sauce, imagine all the low sugar, delicious cooking you could do with them all? There’s a very serious “no-nonsense” approach in the Nowt Poncy® kitchen, and the people responsible for making the sauces have their hearts in the job. The curry sauce is made with love, with the intention of making absolutely sure that it stands above the rest when it comes to sauce in a jar. Being able to rustle up a curry in a hurry which also has the flavours, nutrients and goodness of a proper curry? Nowt poncy about that. The traditional Indian recipe made in the heart of Rossendale, Lancashire, now that should get the juices flowing. Or not? Well, the beauty here is that it’s completely up to you. It comes as a 100% vegan friendly recipe, but meat eaters tend to add chicken, lamb or prawns to it to make a quick and simple curry dish. It can just as easily serve as a base sauce for completely meat free dinner – just add veggies, chickpeas or anything you fancy. Do you have people coming round with different dietary requirements? Serve them all up the same curry, some with meat, some made with veggies. The freedom to choose is great, isn’t it? Research shows that coeliac disease affects 1 in 100 people in the UK, making it much more common than in the past. If you’re one of those people who has to eat a gluten free diet, or you are cooking for someone who does, you are safe with this curry option. The nutritionals are actually quite impressive. All Nowt Poncy® cooking sauces are brilliant in their simplicity and no fuss approach. If you’re looking to rustle up a curry in a hurry this won’t disappoint. It’s also an alternative to have in the cupboard when you’re tired after work and tempted to get a takeaway. A much healthier option which works out cheaper and it just as good? It can be done and on the table in minutes. Excellent! 5. It’s also a dipping sauce! This is understandably one of the favourite uses with the Nowt Poncy® curry sauce – it doubles up as a salsa for dipping! Fresh and ready to eat straight from the jar. The traditional Indian recipe using green chillies makes it a great warm curry meal which also works cold. Get out the tortillas or crisps, or even slices of pepper if you’re being super healthy, and get stuck in! The curry sauce is part of a “big 5” family too, if you’re feeling inspired, check out the other sauces here. Did you know? The Nowt Poncy® Tomato and Basil Sauce has been shortlisted in the Free From Awards for 2017.